On location at Ostkreuz, Berlin. Rona Geffen Kritzkom and Aschka play out some new electronic tunes from women around the world. We talk with Kritzkom about her solo project and Miko, her collaboration with Sonja Cvitkovic. Rona tells us a bit about Acutonics, the sound healing method she uses in her practice. And we announce the Heroines of Sound Festival 2016 from 8 - 10 December at HAU 2 Berlin, curated by Bettina Wackernagel, Mo Loschelder and Sabine Sanio. Special thanks to Studio 01 for producing this show. 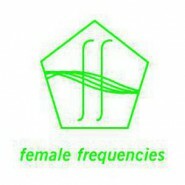 Filed under * Feature, Female Frequencies, MUSIK / DJ SET, PODCASTS.